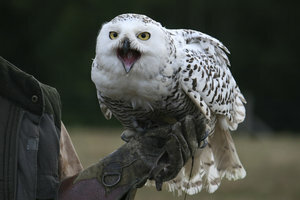 A falconer's female snowy owl (Nyctea scandiaca) getting ready for some flying exercise in Sussex, England. Love this guy! You kept the detail in the feathers. Good job! !